This time of year, it seems like everyone is sick of the cold & is ready for summer to get here…. But, not us... WE LOVE WINTER! We are obsessed with snow & simply can’t get enough. 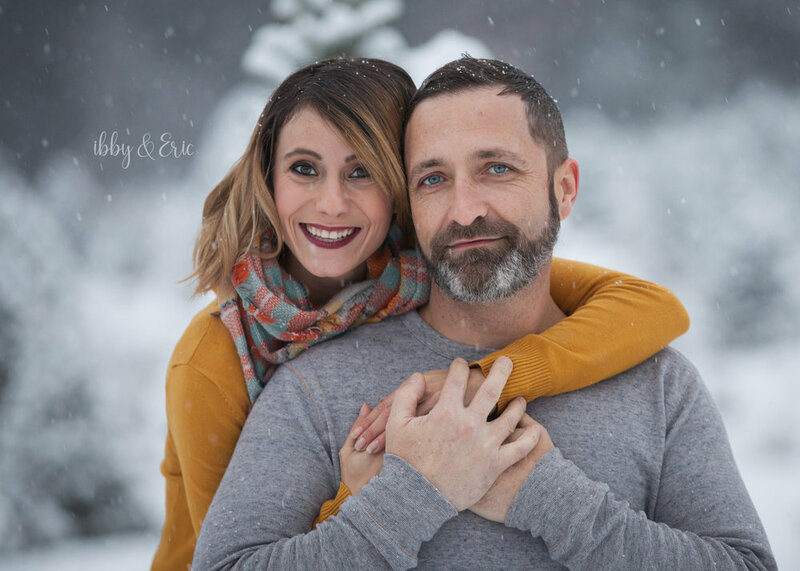 In the days leading up to Maria & Mike's family session, we were constantly checking the weather forecast, getting more & more hyped as we watched the snowfall predictions adding up. Shout out to the family for venturing out in a blizzard with us! It was so awesome, and the photos came out amazing! 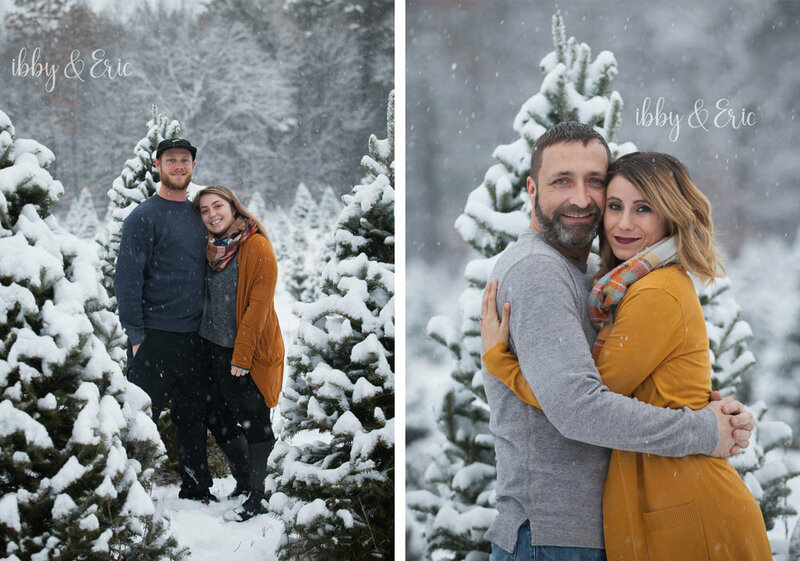 What you can't see, is Eric standing off to the side of the family, struggling to see over all 11 jackets piled up in his arms, while running around helping to keep the little guy smiling, dodging snow covered tree stumps--it really was quite the scene! This family is so beautiful & so sweet, and we LOVE the colors they chose to wear. Everyone has a bit of a different style, but everyone’s outfits look so good together! 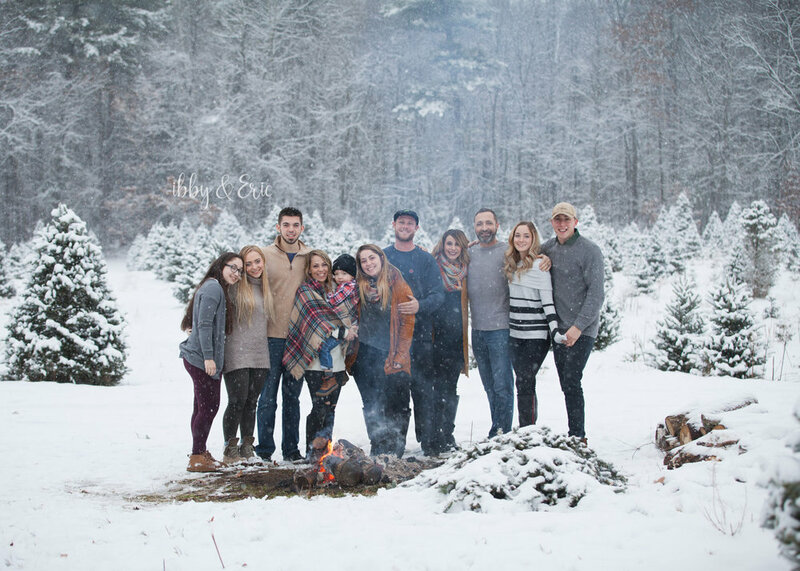 The staff at the tree farm keep a fire going & it was the perfect spot to keep warm between pictures. 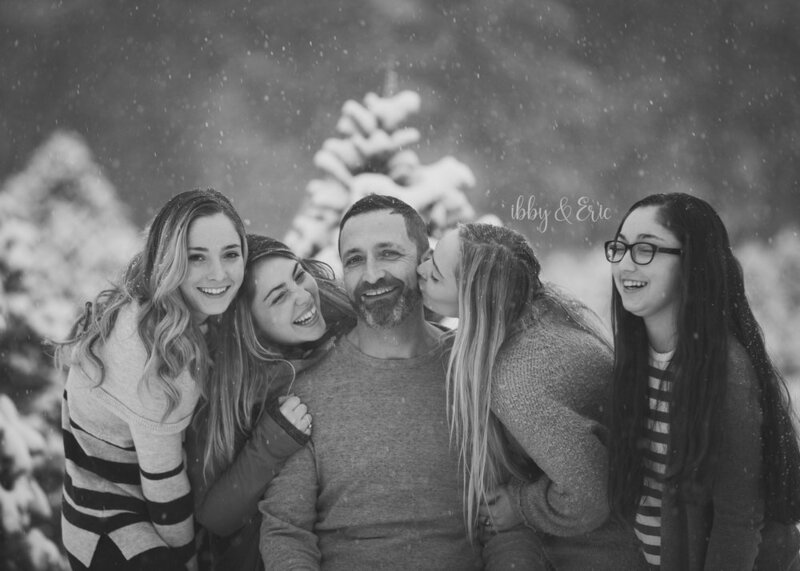 Does your family love winter as much as we do?? Or do you hate the cold & are counting down the days until it's warm again? Either way, let's chat about updating your family pictures this year!